A vampire infested 19th century London may be heading for the small screen. Fox 21 Television Studios has optioned Vampyr for a television adaption, according to news site Deadline. The show will be directed and produced with McG’s Wonderland Sound & Vision, as well as DJ2 Entertainment. After doing some quick searching, whats interesting to note is that DJ2 Entertainment, are some of the same people who working to bring Life Is Strange, Ruiner and Little Nightmares. Even more intriguing, is the fact that they are planning to aid in the production of a We Happy Few, and a Sonic The Hedgehog feature film. McG’s Wonderland Sound & Vision on the other hand, has a rather startling record of helping to produce uber-popular TV Show Supernatural, Shadowhunters: The Mortal Instruments, The OC and Chuck. For films, they have helped develop Charlie’s Angels, The DUFF, as well as Netflix originals The Babysitter and When We First Met. 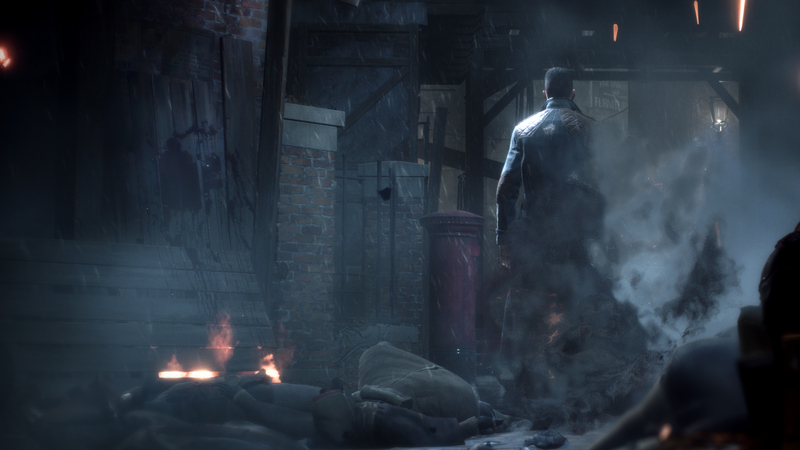 It is unclear how much of Vampyr would actually make it into the show- whether it just be the setting and characters, a full adaption of the story, or simply a heavy influence. It’s not even clear if it’ll be a full TV series or a made-for-TV movie. Either way, it could be very interesting. For the uninitiated: Vampyr is a game about Dr. Jonathan Reid, who is suddenly finds himself becoming a vampire. As the only one in 1918 London capable of curing the plague that is haunting the city, he must juggle his value for human lives with the need to hunt and feed off of others. The premise of the game is that players will be fighting in an action-adventure orientated game, whilst having to be careful how much and who they kill to survive while they try to keep the development of a cure possible. It was subject to mixed reviews, leaning more toward positive side however, for it’s promising story and setting. It received a metacritic score of 72 (PC) and 70 (PS4, Xbox One), and sold moderately well, selling 450,000 copies, almost half a million, in a single month. Do you like an idea of a Vampyr TV adaption? What do you think of the two studios’ track records? What about the fact that DJ2 is working on multiple video game adaptions? Join the discussion below.